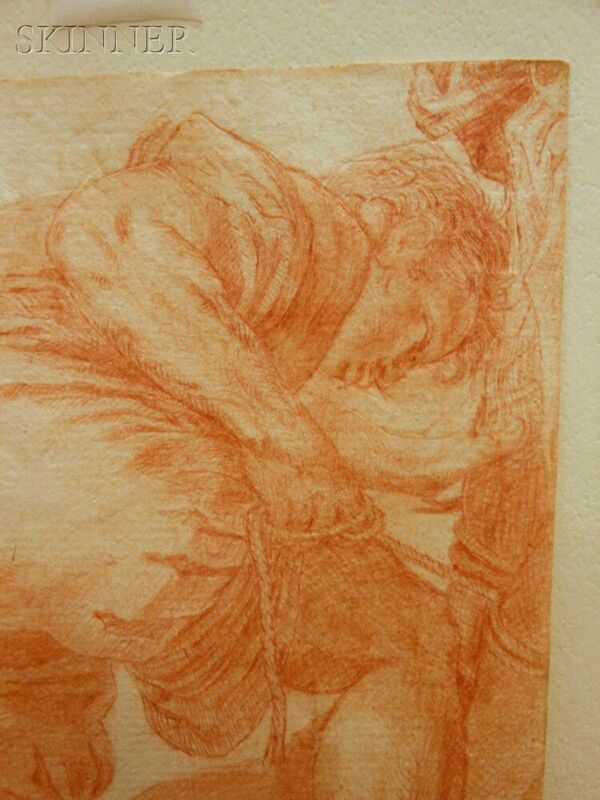 and Saint Sebastian, conte crayon on laid paper, 8 5/16 x 5 5/16 in. 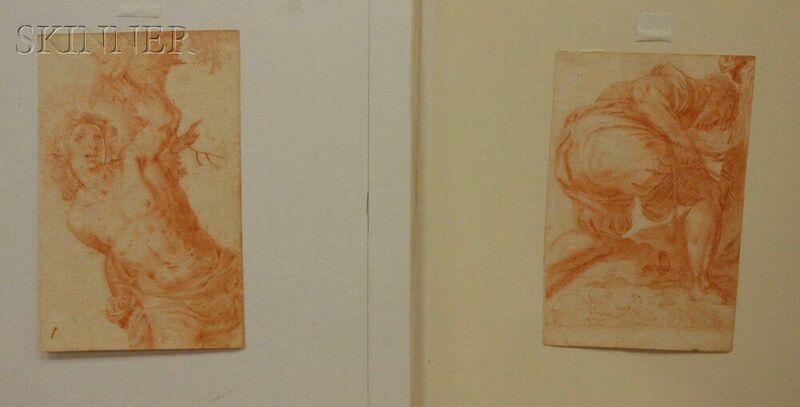 (21.2 x 13.5 cm); both unframed. 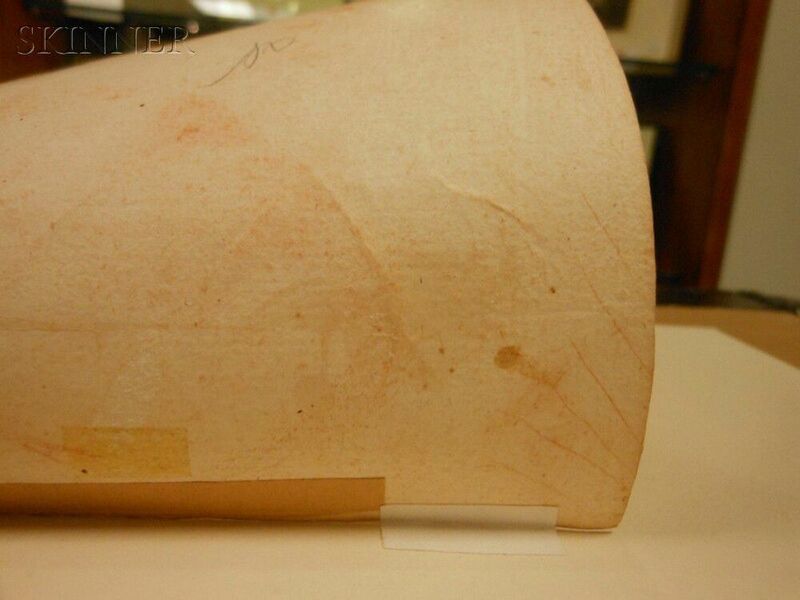 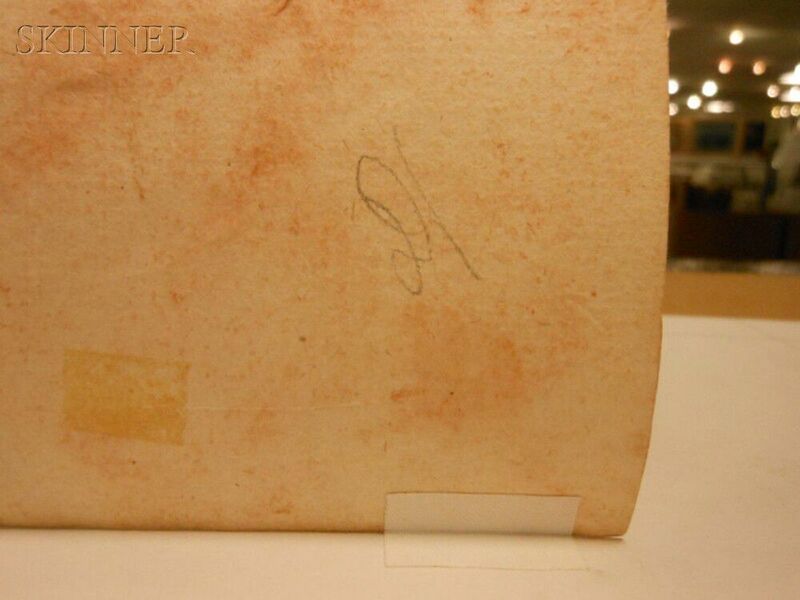 Condition: St. Sebastian with incised outlines around head and arms, both with minor soiling, tape residue to reverse, hinged to back mats at top edges. 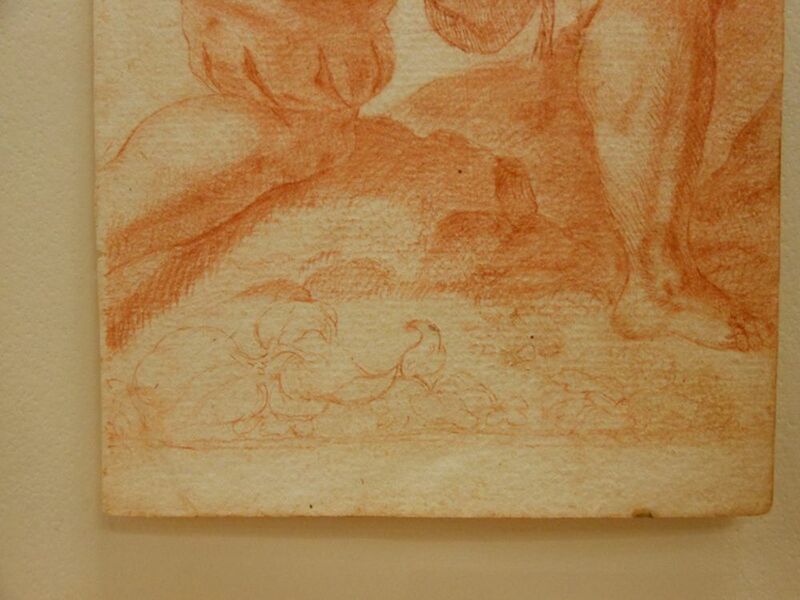 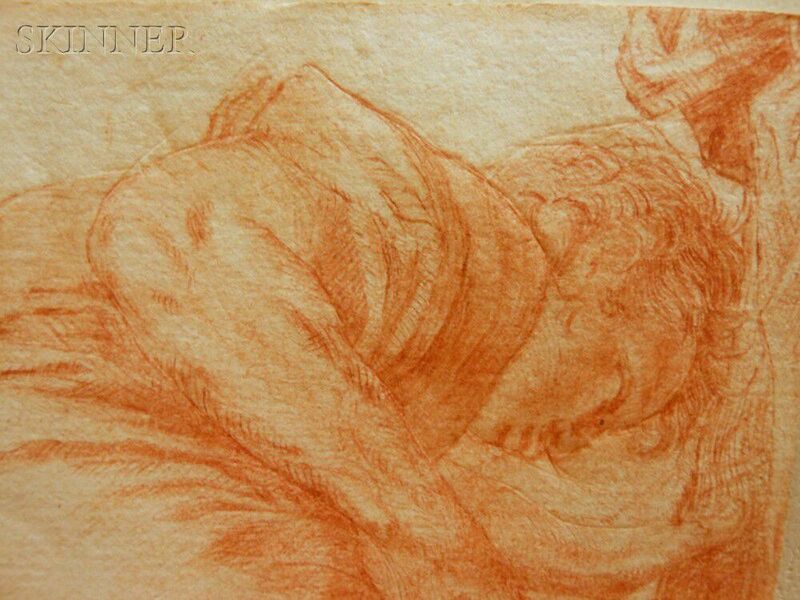 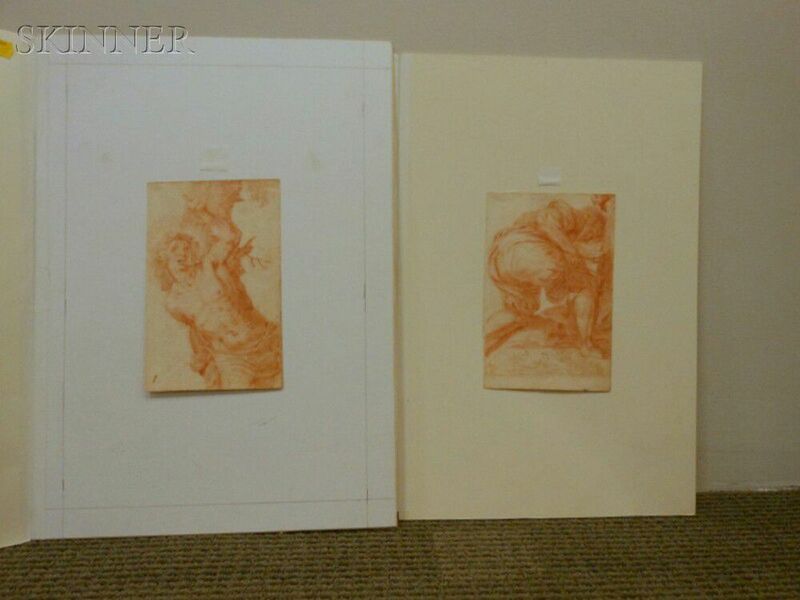 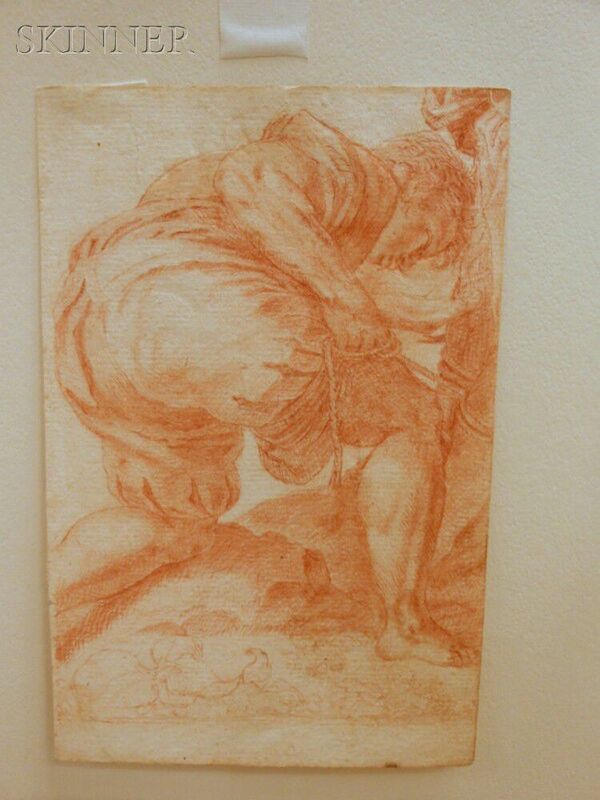 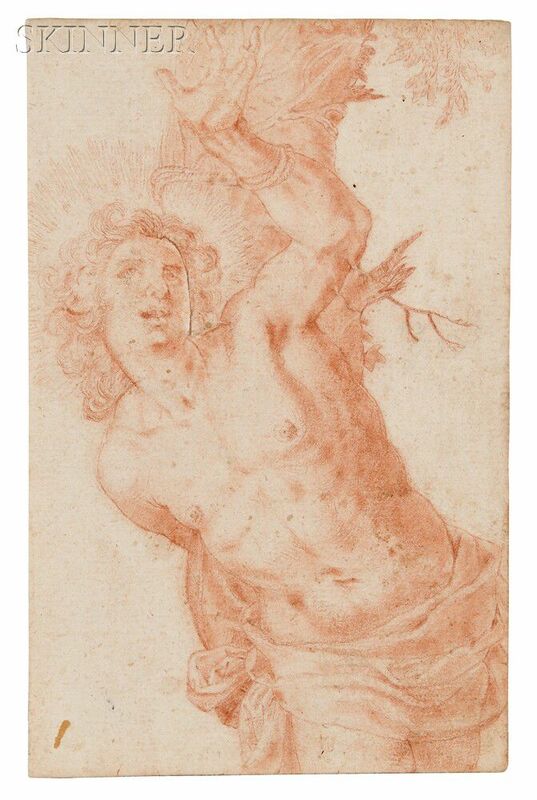 It has been pointed out that these two drawings are both related to a print by Aegidius Sadeler (Flemish, 1565-1629) of The Martyrdom of St. Sebastian, after Jacopo Palma, il Vecchio. 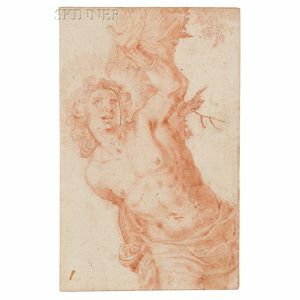 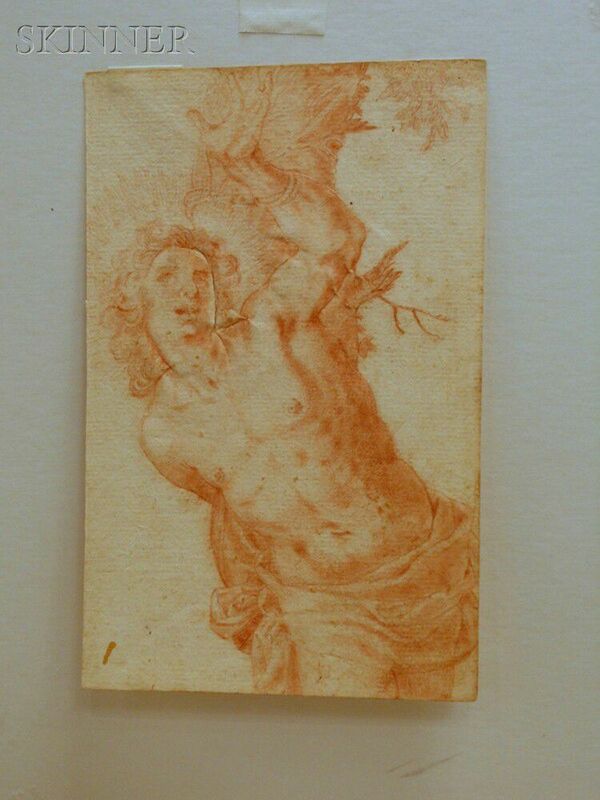 An image of the print may be seen at the web site of the Victoria and Albert Museum (http://collections.vam.ac.uk/item/O1156238/the-martyrdom-of-st-sebastian-print-sadeler-aegidius-ii/). 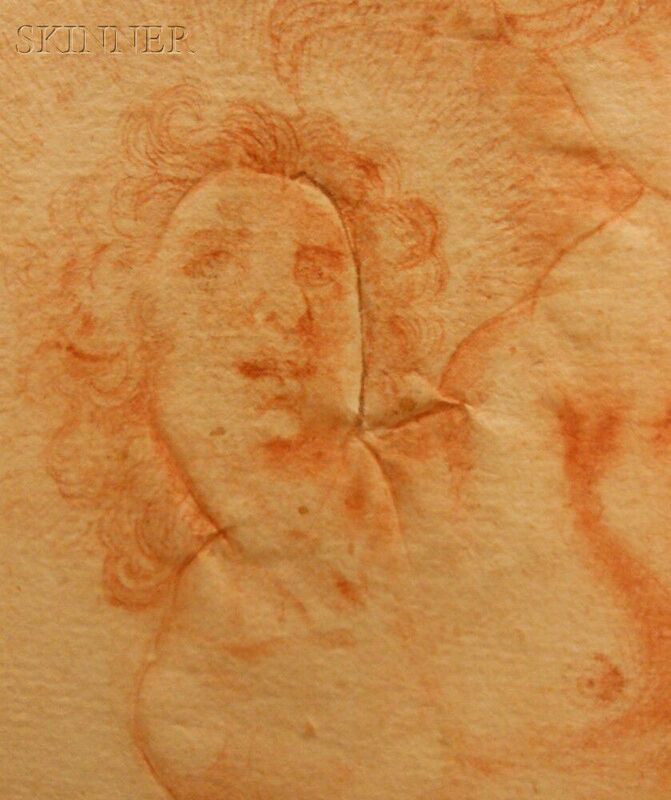 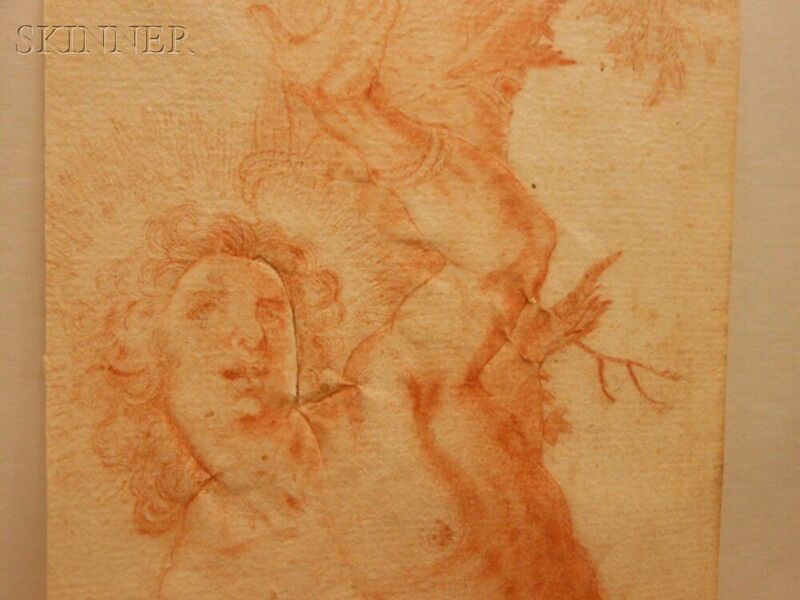 St. Sebastian with a deeply incised line around his head, shoulders, and raised arm which is visible as creasing to the reverse, scattered stains and foxing with largest stain to l.l. 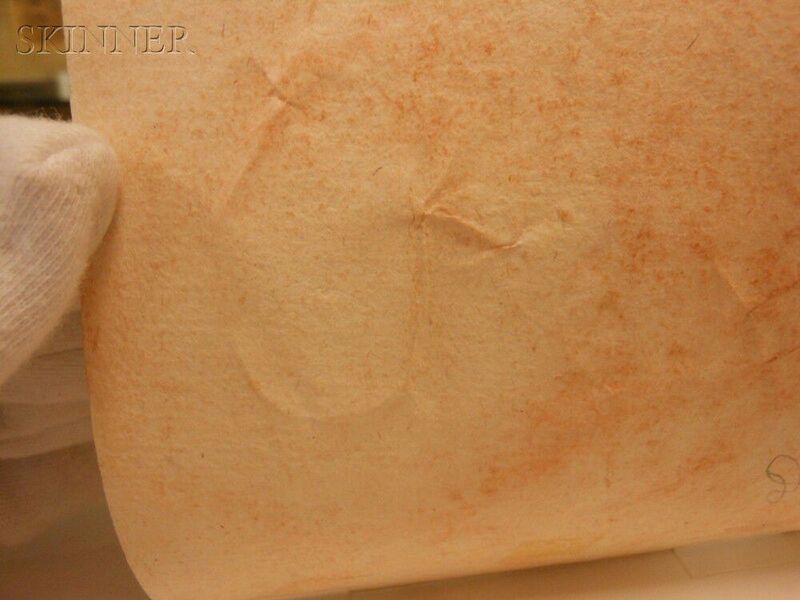 corner measuring 3/8 inch long, acid burn and soiling to edges of sheet, sheet trimmed; reverse with tape residue top and bottom, with a pencil initials (perhaps "DH"), and hinged in two places to the back mat. 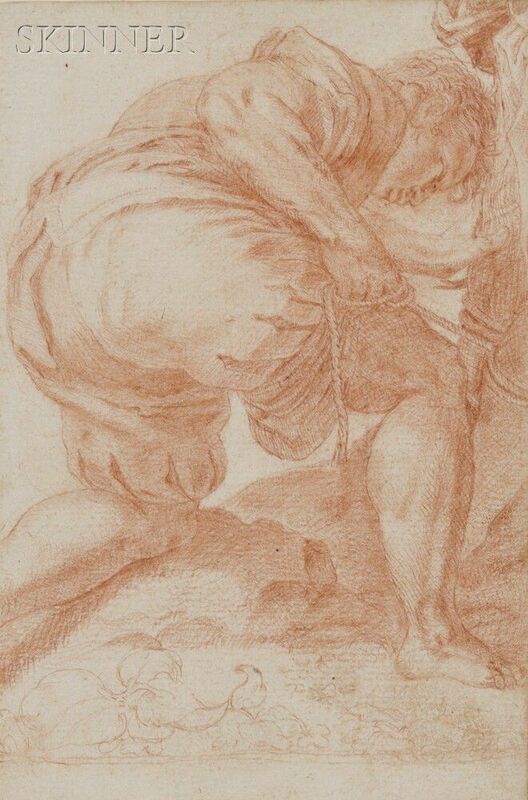 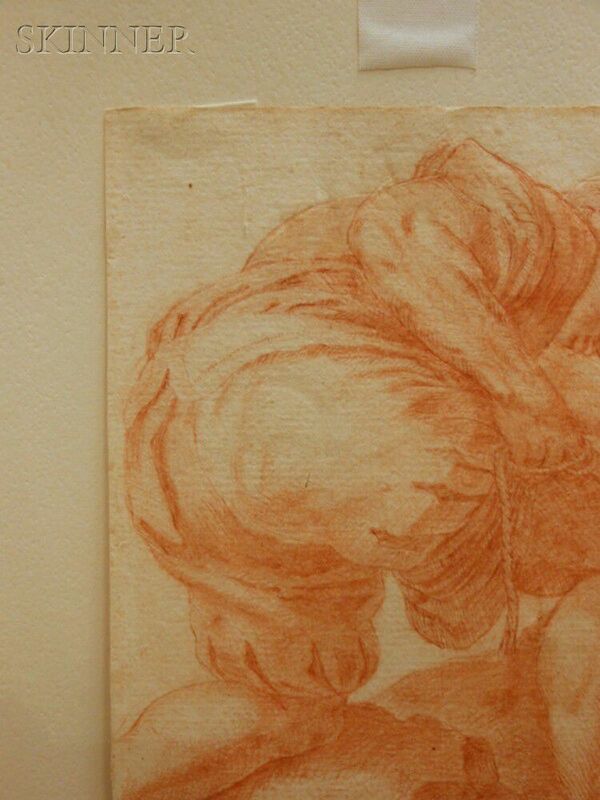 Man with Rope with less pronounced incised lines around the figure's head and shoulder, small stain at l.r. 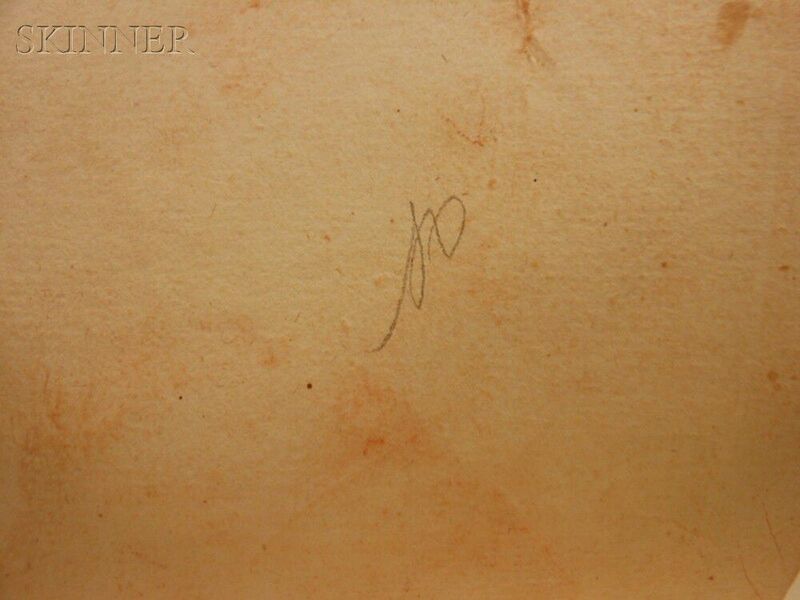 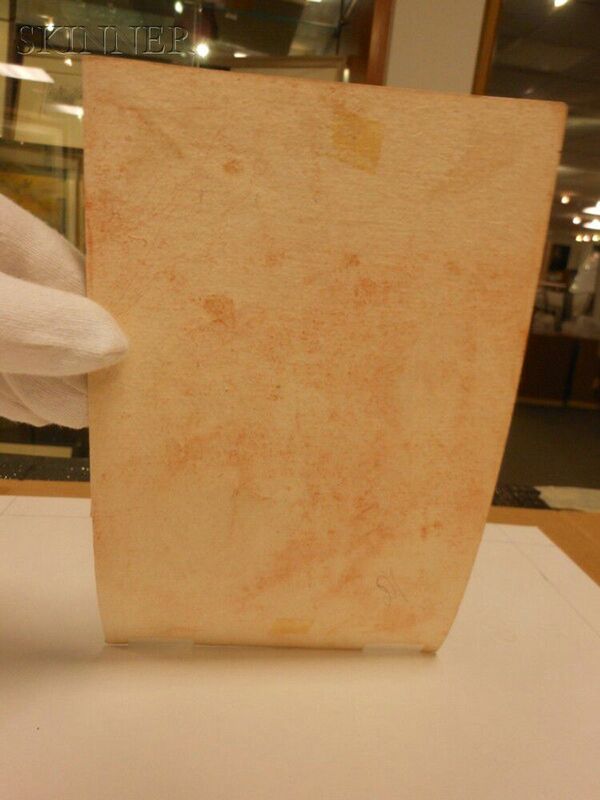 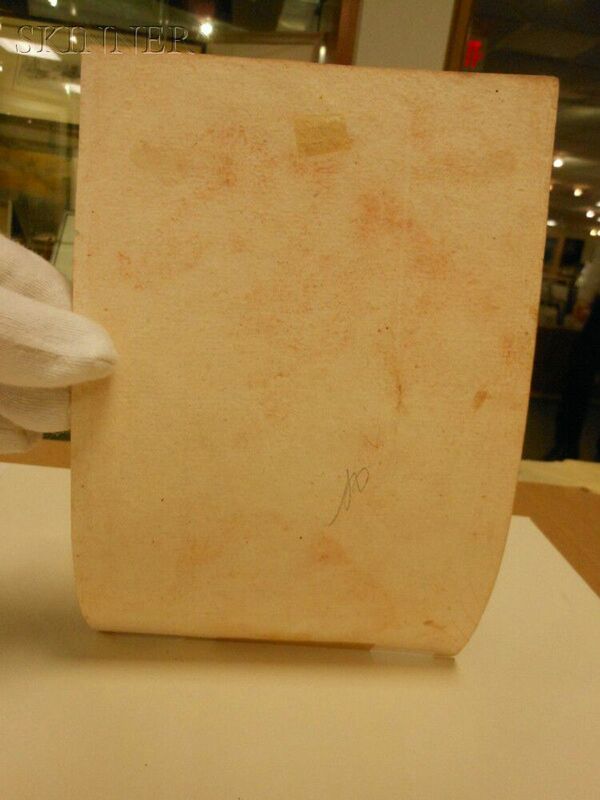 corner edge, gentle foxing, sheet trimmed; reverse with tape residue with tape remnants at the top center, similar pencil initials, hinged in two places to the back mat.